I've always had a pretty terrible poker face. If you ever play Mafia with me, and I happen to be in the Mafia, you'll read me like a book in about two seconds. So with that in mind, finally getting to strip away my poker face and share some big news with you all made this week extra special and fun. Road trips and a little softball action didn't disappoint, but the real joy was in what's to come. Here's what we've been up to! Last weekend, I was gone from school all day Friday for a softball tournament in Columbia, MO. It's always fun to be there with the varsity girls (I coach C Team), and it's a blast getting to be back in Columbia to re-live my college days. And since my sister in law is now a freshman at Mizzou, Aaron drove in for the weekend as well to hang with her. They came to our games on Saturday, along with Aaron's brother and Angie's boyfriend, and then I went with them instead of riding the bus home. Flat Branch dinner for the win!! Always a fun time being on campus and remembering all our fun times there as Tigers. As part of our long weekend, Aaron and I will be taking the new car on another road trip- this time to St. Louis. One of my very first friends ever (I think we literally met at a few months old), is tying the knot in St. Lou on Sunday night, and with Monday off it's the perfect little getaway. I'm so excited to see some of my dearest high school friends, celebrate marriage, and show them my little baby bump in person! 3. Baby K is on the Way! In case you missed it, last Friday I announced some HUGE news. We are havin' a baby!! (#BabyKisontheway) We couldn't be more excited, and are so happy to finally have the news out in the open. We've been totally overwhelmed by all the sweet comments, encouragement, and excitement from all of you fabulous people. Safe to say that this baby is going to be one blessed, loved little one! If you're interested in reading more about I'm feeling, how far along I am, and how we told our parents, head on over to our pregnancy announcement post! If you'd like to keep up with bump dates and other fun info, be sure to follow along on Facebook! Throwin' it back with some awesome college friends. Every year in October, we have our first round of parent teacher conferences. Since we put in two four-hour evenings of conferences, we always get that Friday off. 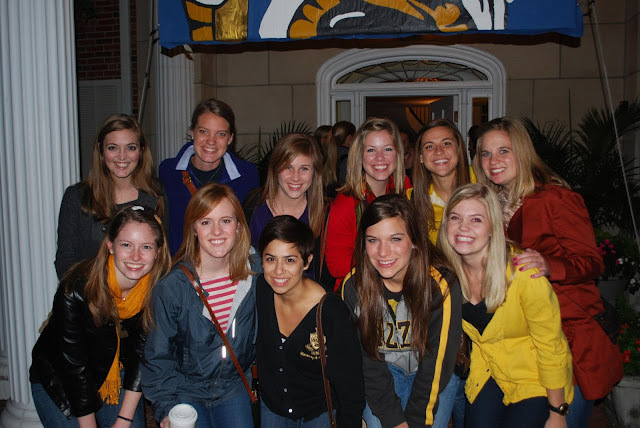 This year, conferences fall on the week of Mizzou Homecoming! This is super exciting because we had to miss last year for the first time in five years. It will be SO nice to be able to sleep in, enjoy our Friday, and drive to Columbia at our leisure. The house decs, parade, and seeing good friends always makes it a can't miss weekend! Now that I'm officially an "out-in-the-open" soon-to-be mama, I've already got a whole new appreciation for moms. Holy smokes, is there a whole lot to think about, avoid, and plan for with a baby on the way. We've already started to think a little bit about the nursery (more on that soon! ), as well as keep our eye out on Craigslist for some big name items like jogging strollers. But how in the world do you ever decide what all you need and what's best for the little one??? Ahhhh! So overwhelming. 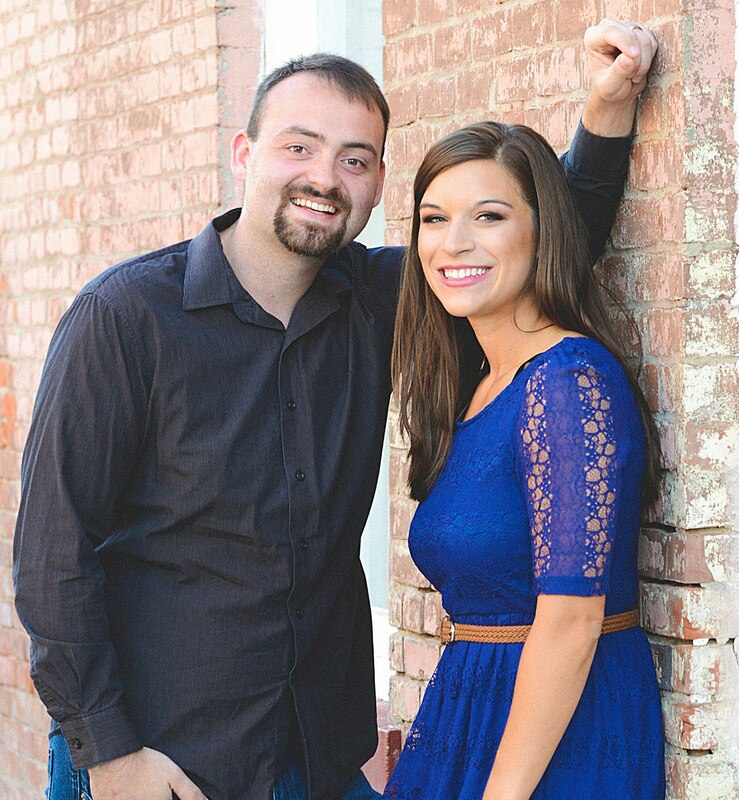 We will definitely do a registry and have some showers, which will be awesome, but at the same time I'm totally clueless so it may be a challenge ha. I'm warning you mamas out there now that I'll be asking for tons of advice in the coming weeks. Thanks in advance for your help ha! That's it for the Ks this week. I hope you have a lovely, feels-like-fall kinda weekend with those you love most. Cheers to a long one with some relaxation for us all! Oh gosh! I can only imagine how overwhelming and how much information there is to learn when you're pregnant and a new mom! enjoy your trips! You are one busy momma, and looking great Kelsie! I also gained a HUGE newfound respect for my mom and moms everywhere after being pregnant and having a baby. Aww, thanks so much Lindsay! I am definitely blown away by how awesome moms are! Congratulations!!! <3 That is SO exciting! I'm 29 weeks today with Baby #3! Don't panic, I can't emphasize enough that you don't need as much STUFF as you think you do. :) I'm actually planning a post soon about all of the items that I know I can't do without by baby 3 so I hope it will help! Sounds like you guys are keeping busy! Thank you, and congrats to YOU!!! That's so awesome! Thank you for the kind words, and I'll be looking for that post for sure! Hope you guys have a great time at the wedding! It was an awesome time! Thanks so much!